Kreisha Ballantyne takes a look at big-trip planning, with a focus on weather resources. The time is approaching: the endless rain has finally ceased and the crazy windstorms are behind us. Summer is upon us and social media is stuffed with aircraft owners planning their summer trips. You commence planning yours: accommodation and tours are reserved. A rental aeroplane awaits the arrival of pilot and crew, fuelled, serviced and ready to go. On the morning of your big trip, you look out the window from home: low cloud, rain showers. Maybe some wind gusts, to add insult to injury. Undeterred, car packed, the now less-than-confident team head off to the airport. At the flying school, an instructor is chugging coffee and filing document amendments, having cursed at the weather while today’s flight cancellations began rolling in at breakfast. So, it’s with some surprise that she spots you, our intrepid pilot, partner and friend as you begin unloading bags in the car park. If this sounds familiar, take heart, because you’re far from the only one. The question is, what can pilots do to avoid this? Despite amazing advances in weather forecasting, avionics, and information accessibility, GA remains dogged by weather-related accidents. VFR into IMC, loss of control in mountainous turbulence, landings gone wrong in gusty crosswinds, and airframe icing, are all avoidable and only occur because the pilot misjudged their ability, too often tragically, the wrong way. As a rule, piston singles aren’t up to severe turbulence, heavy rain, or surface winds above 25–30 knots. Even the most experienced IFR pilots keep small aircraft out of clouds in freezing conditions, and avoid low visibility and ceilings where they can. For VFR pilots, let’s be realistic. 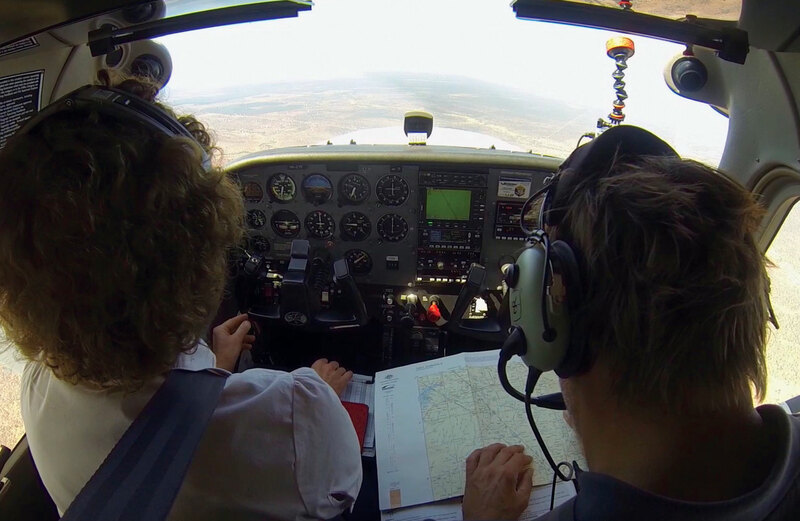 Once the flight visibility has deteriorated to five kilometres, there are real risks that a VFR flight can go out of control, or into a hillside or another aircraft. For GA pilots with a choice, the message is simple: tour the north in winter, and the south in summer, as I learned myself—the hard way—after planning in 2011 to circumnavigate Australia. Despite my very best plans, I failed to make the north and ended up flying from Sydney to Perth via Tassie. 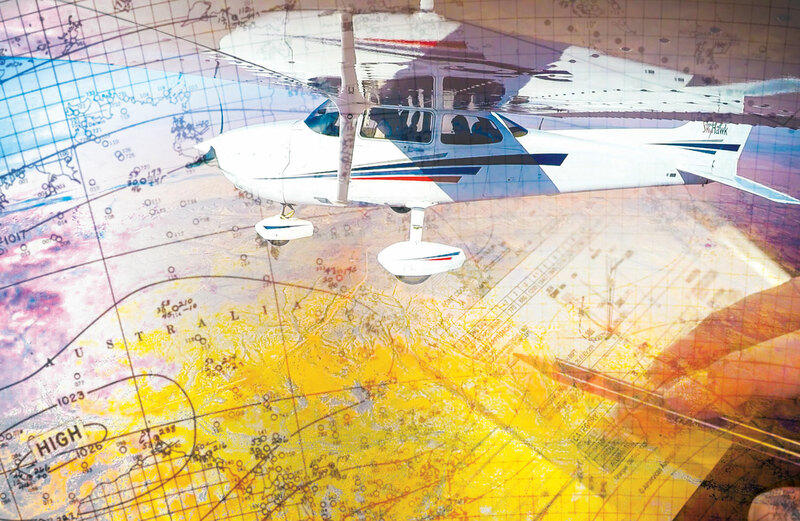 Before GPS, GA pilots mostly chose routes over airports, for ease of visual identification. A big trap since is to fly great long legs over featureless or unfamiliar terrain, often with little planning, to try and save a couple of minutes. Sometimes, hours can go by before there’s an airport along the way, and if the weather or mechanical demons strike, options close fast. Routes are better chosen when they suit the aircraft, type of flight and the pilot. Consider a VFR piston single taking three friends from Bankstown to Moorabbin—a common trip for GA pilots. On a fine day, the inland route is quick, but if the weather is marginal VFR, the pilot always ends up regretting it. The coastal route involves much extra distance but offers a rolling array of alternates and safe altitudes below the cloud. On these days, one of those alternate airports can make the perfect lunchtime stop (particularly Merimbula, with the best rock cakes, milkshakes and burgers any east coast airport could possibly boast) from which the weather at destination can be checked again and fuel topped-up. 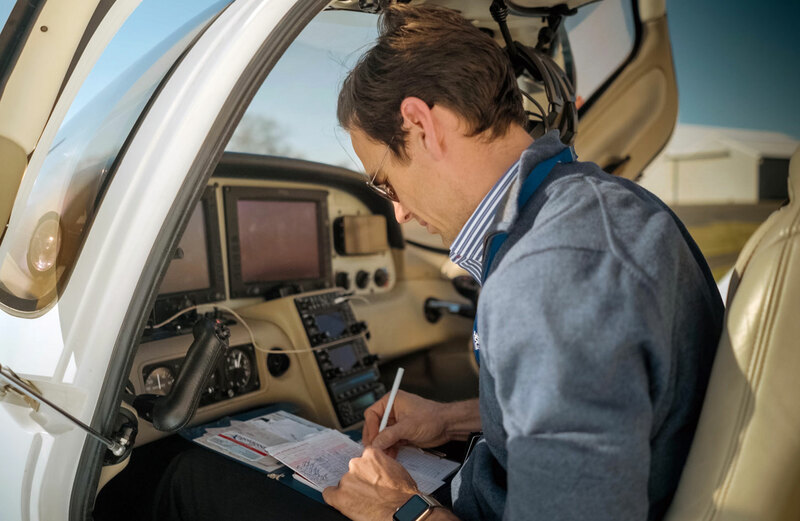 The two great Australian EFBs now offer graphical METARs and weather camera images, which the savvy pilot monitors against the forecast as a flight proceeds and conditions develop. 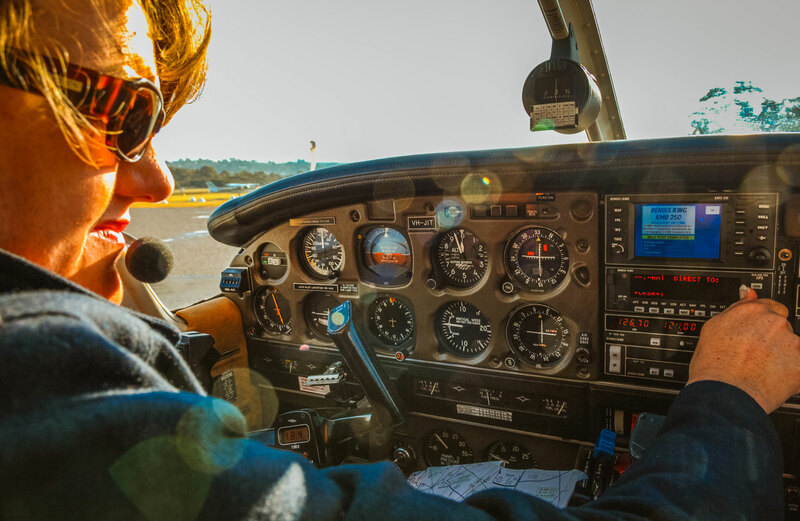 Planning to avoid controlled airspace might be attractive on a holiday trip, but if a pilot is qualified and the aircraft permitted, it’s often easier and safer to traverse control areas than skirt the edges and risk busting it. Some GA pilots seem to have an ATC drama every flight, but so often that’s caused by inadequate planning. Reading AIP and ERSA and lodging a detailed flight notification—which includes sensible legs and time estimates to and from reporting points—goes a long way to solving the problem. By having confidence in the planned route, time estimates and requested altitudes, getting acceptable clearances becomes a breeze. Having done that, always speak up to ATC, early, clearly and proposing an alternative plan, if the actual weather requires a change in level or route. And, of course, you still have a plan B, right? 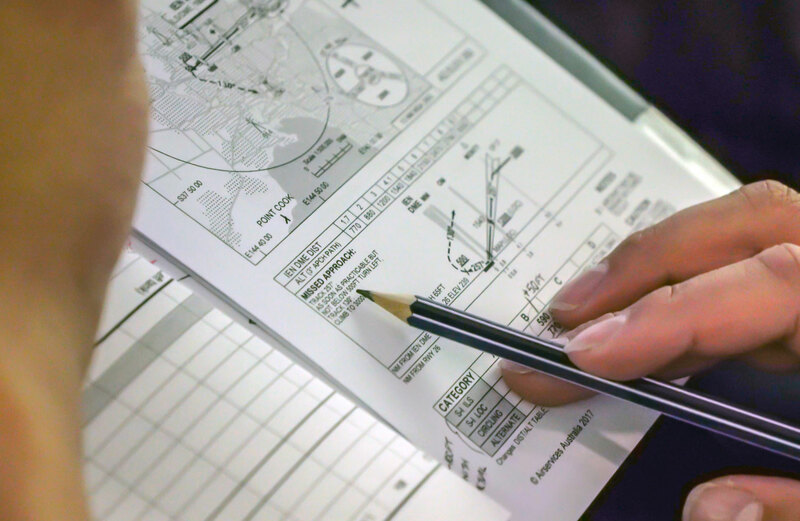 In addition to maintaining a ‘weather watch’, pilots may use the days leading up to a flight to study any applicable NOTAMs. Doing so will save uncertainty and precious time on the morning of departure, although be sure to check them again. A few days out is also the right time to get landing permission if operating to an aircraft landing area (ALA). When calling, ask about airstrip dimensions and directions, slope, markings, wind indicator, surface condition, grass height, recent rain, obstacles, terrain, fuel, mobile phone coverage and parking. The smoothest flight conditions are often found in the morning, and especially so in summer. As well as avoiding turbulence, the odds are also better for skipping rain showers and strong winds. Early morning departures also allow more time at the destination to see the sights and relax. While some pilots are up in arms about the new fuel rules, really, they shouldn’t change the practices of most responsible pilots. A good rule of thumb in a typical GA piston single is to be landing with an hour’s fuel in the tanks. 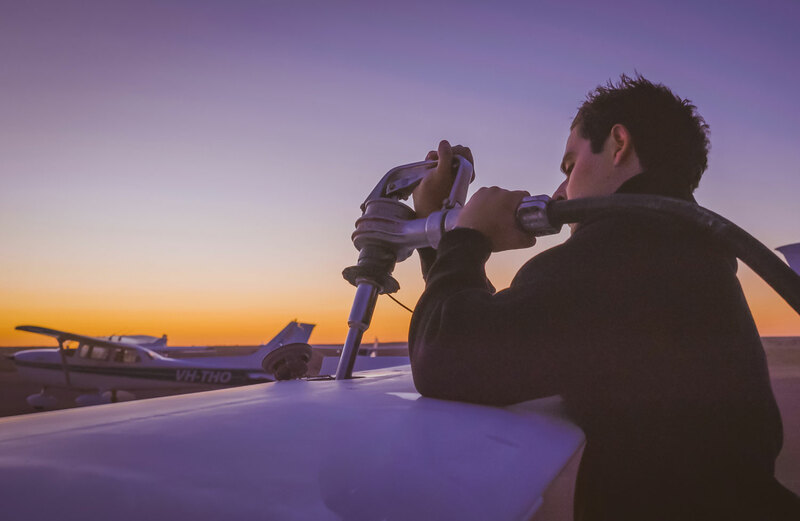 Planning to do that and cross-checking fuel on board in-flight with a time-based run-sheet, gauges and/or totaliser, will ensure that a pilot stays safe and doesn’t run afoul of the law. A four-seat aeroplane can become very uncomfortable if four adults are in it for hours. One of our industry’s darkest secrets is that four seat touring aeroplanes in Australia really only work for three people! Whether for work or holiday, a long trip in a small GA aeroplane depends on lots of factors, none the least of which is … the plane! Check the maintenance release for the remaining available flight time for the trip. Be sure to take oil for top-ups along the way. Clean the windscreen and cabin and accept nothing less than perfectly airworthy, including radios, navigation and instrumentation. This can’t be done on the morning of the flight: be a planner and access every resource available to you! Australia is a wonderful land for cross country flying, with its (largely) stable weather, endless coastline and (mostly) flat terrain. A well-planned long distance flight can result in a trip of a lifetime. Be aware of the amazing array of resources available for long trip planning. 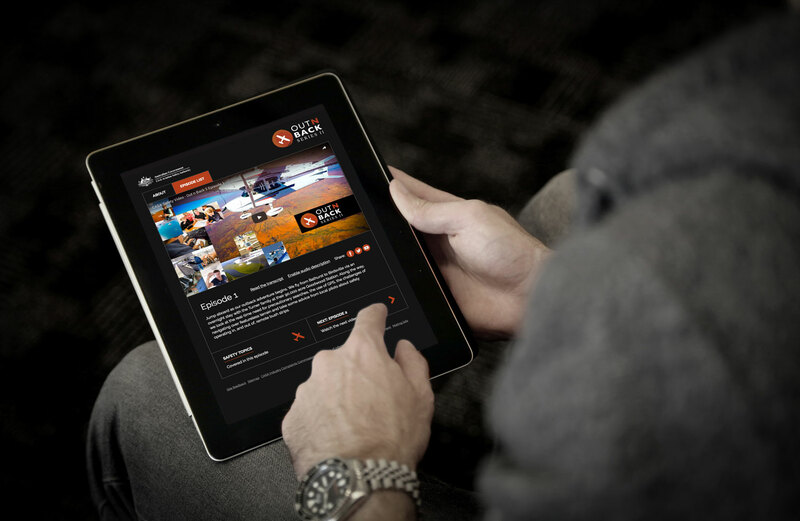 CASA’s wonderful Out and Back series is a virtual aerial classroom, taking the student on an epic 6000-km flight across Queensland. 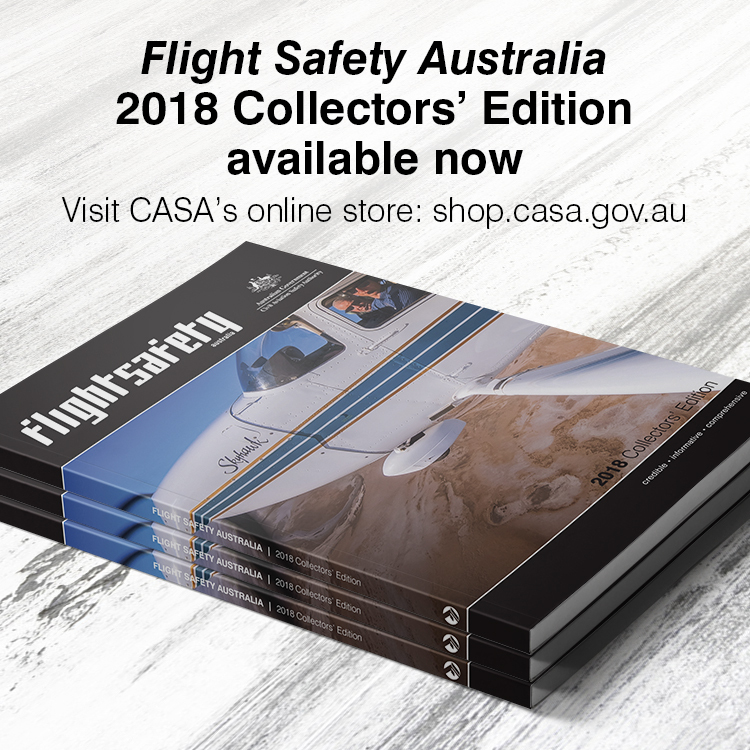 With a focus on flight safety, Out and Back covers topics such as fuel management, bush strips, remote flying and pre-flight discipline. Secondly, do not consider a trip to the bush without first referencing Shelley Ross’ Flying the Outback website. Shelley is one of Australia’s most well-known aviation journalists and advocates of outback aircraft touring. Her website is a go-to for detailed trip planning, destination suggestions and tips from the experts whom Shelley encounters on her journeys. Lastly, the BOM website is a veritable mine of resources for trip planning, in particular, its Knowledge Centre, which offers access to a wide selection of resources. Great article. If the weather is marginal I usually don’t go but if you need to get home go from little strip to little strip, it works for me. Great article Kreisha – any chance you could condense it into a, printable, series of Dot/ Check points (with references & web sites). It would make for a great planning tool. Thank you guys; I’ll look into it! Thank you, Sean. I’ll look into that! A great article. If the weather is marginal I do not go – there is always another day. Incidentally, I thought that minimum visibility was 5 Nautical miles or 8 km – Am I wrong? Thanks for the great Article Kreisha! Very valuable tips and some great weather planning resources! Good reminders there for sure, airmanship however has slipped off the radar in recent years due GPS & other factors. Flying is expensive & that in itself means some drivers take risks they wouldn’t ordinarily do like short cuts across nasty terrain, taking min fuel due cost, having a less than serviceable machine, the swiss cheese holes begin to align all too often due MONEY! I recall a C182 I used to hire, $60 bucks an hour wet, being held up at the holding point meant I used to almost cry! Flying is an amazing experience, it can also be your worst experience! Stay safe out there & keep your money where it belongs not in your decision making!